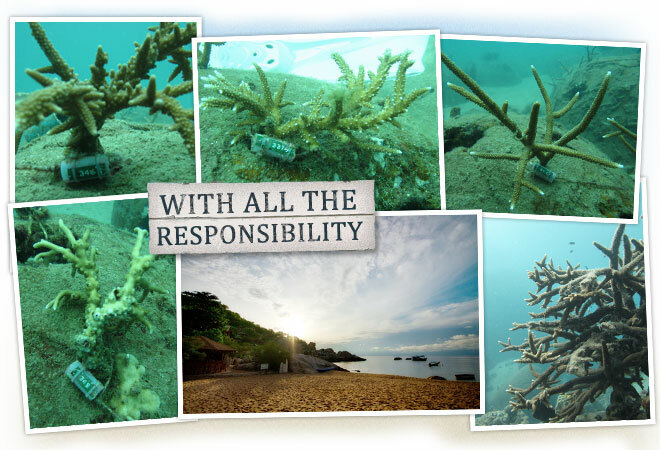 Montalay Beach Resort strives to be environmentally friendly. Solar electricity helps to power our rooms. Our staff members are actively involved in socially and environmentally responsible programmes. We help to maintain a 146 reef ball artificial house reef, promote clam bed restoration and are actively involved in local youth environmental, diving and water awareness programmes.